I have done similar journeys both ways. But with this one I gravitated towards the latter option as I knew I would want to go back. So I figured that by embarking on the initial journey with a completely open mind, I would better understand what I didn’t know and therefore what I needed to learn before returning. Getting to Tibet had always seemed too hard. Special permits to go there (above and beyond your China visa). More special permits to travel outside of Lhasa and the need to be accompanied when you do leave Lhasa… Not my idea of fun, but there was something about the place that made me persevere and find a way to really see it! Then I stumbled on the idea of riding Tibet. And not only found somebody who not only had done it (important point…). But had the bikes and access to qualified guides who could accompany us! 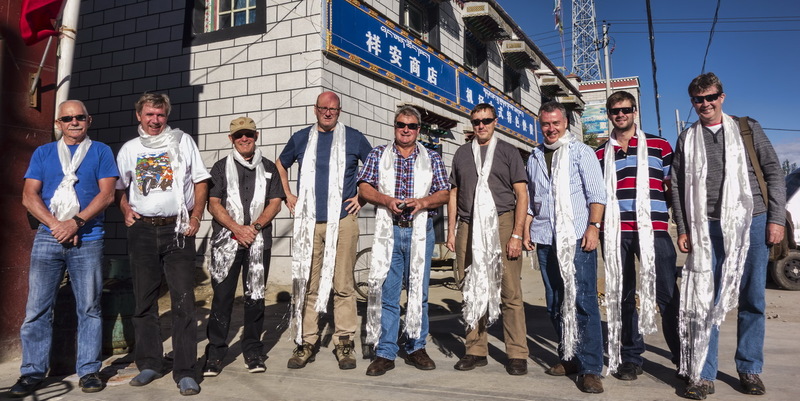 So the adventure began and about six months later our party of 8 met in Chengdu ready to fly in to Lhasa the following day. 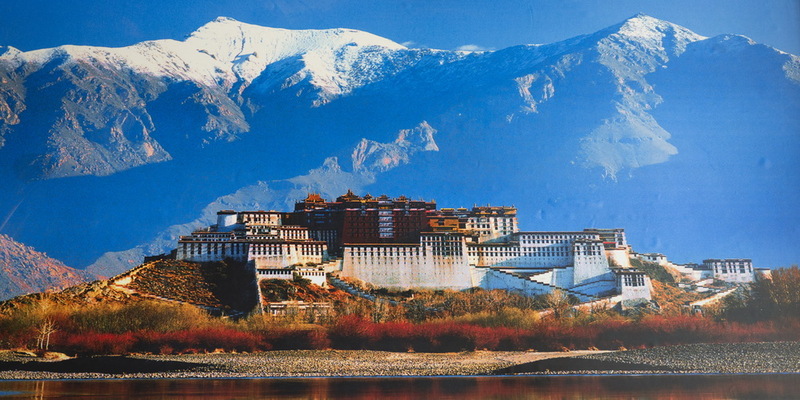 Never having been there, and because I decided not to do any research… My perception of Lhasa was of an almost fairy-tale like palace that was perched high upon a hill. Surrounded by a village where the ordinary people live in their traditional Tibetan style houses. I was definitely not expecting six-lane highways and shopping malls right beside the Potala Palace. 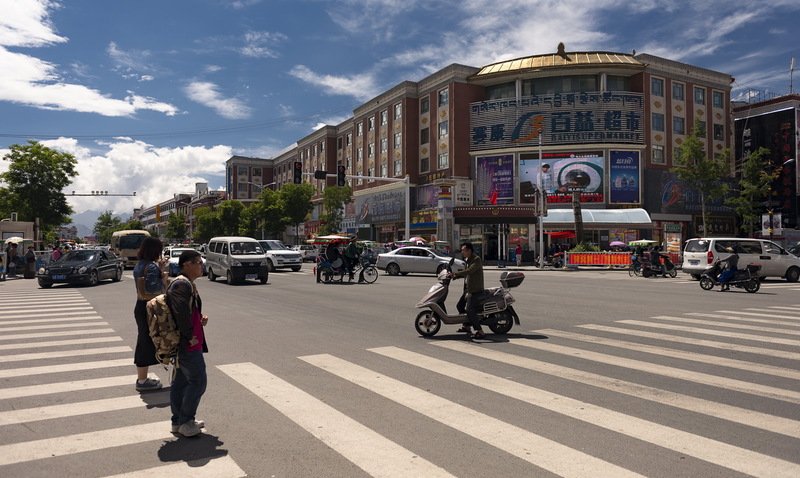 But I quickly realized that most of Lhasa has been turned into just another Chinese city. All of which start to look very much the same if you spend any time in the country. About 2km east of the Potala Palace is the Chengguan, or inner-urban, district which is more commonly known as the old Tibetan quarter. Prior to Tibet’s “liberation” in 1951, and its subsequent incorporation in to the People’s Republic of China, a map of Lhasa looked radically different. That map would have shown the Potala Palace and the small village of Shol, at one end of town. And the general area now referred to as the old Tibetan quarter at the other end of town. With nothing much in between. Both areas have great significance to Tibetans. The Potala is the home of the Dalai Lama, Tibet’s exiled spiritual and temporal leader. 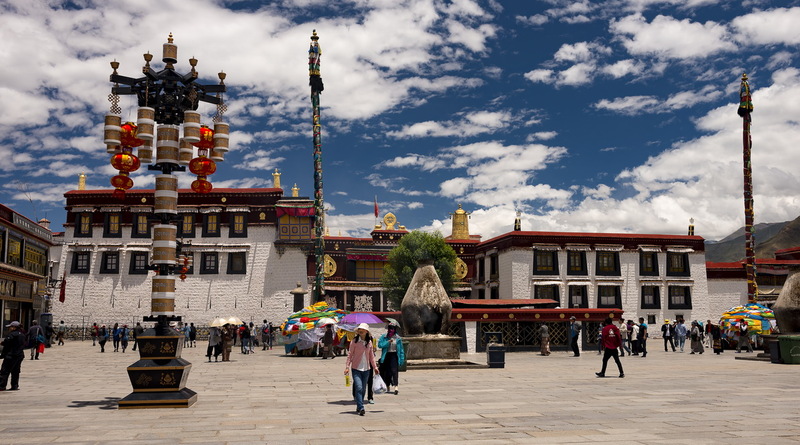 While the old quarter is the location of the Jokhang Palace which is considered as the most sacred and important temple in Tibet. While it is possible to understand the “development” of the previously unoccupied areas of Lhasa in the context of encroaching modernization. 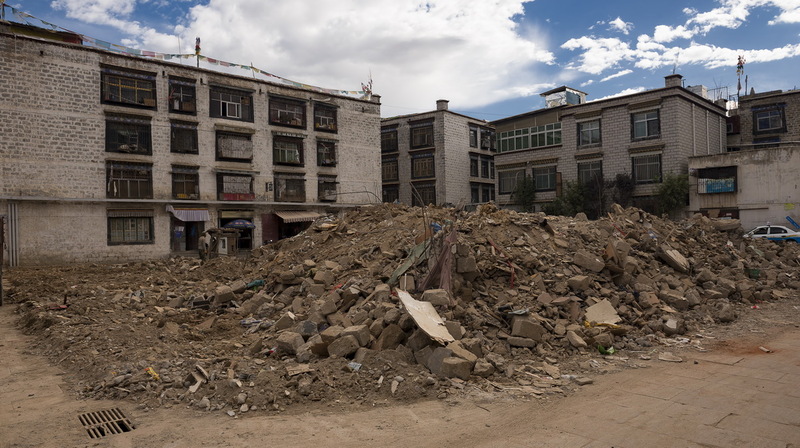 It is extremely difficult to comprehend what is happening in the Tibetan quarter. 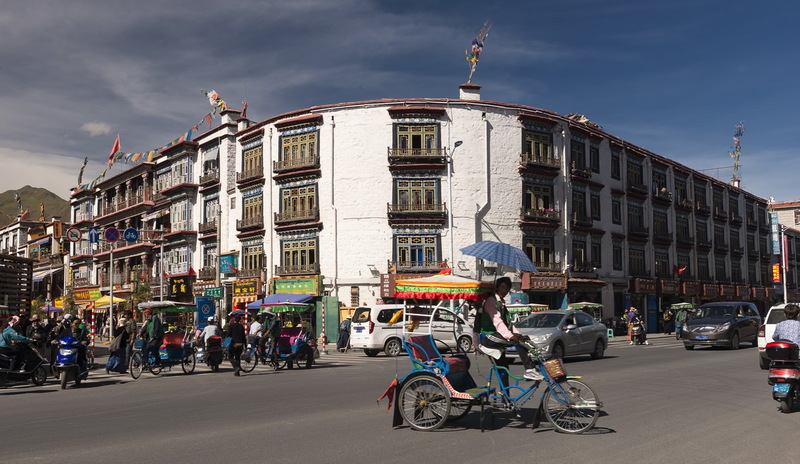 The fact that there is a “Tibetan quarter” in Lhasa, and that it only occupies about 2% of the city, tells you that there is significant problem for those Tibetans who want to retain their culture and live among like-minded people. But the apparent determination to turn the Barkhor area and the Tibetan quarter in to a tourist attraction is a clear but very sad indication that the “Disneyfication of Tibet” is very real! Riding Tibet by motorcycle was an incredible series of highs and lows. Which began with the excitement of finally arriving in Lhasa at the start of the journey. Only to be disappointed by what it has become and where it appears to be going. But Lhasa also provided the first real contact with the Tibetan people and the intensity of their Buddhist faith. So I look at it as the outer skin of an incredible onion… One that seeing Tibet by motorcycle allowed me to start to peel one by one. In a way that traveling by car of bus could never allow.